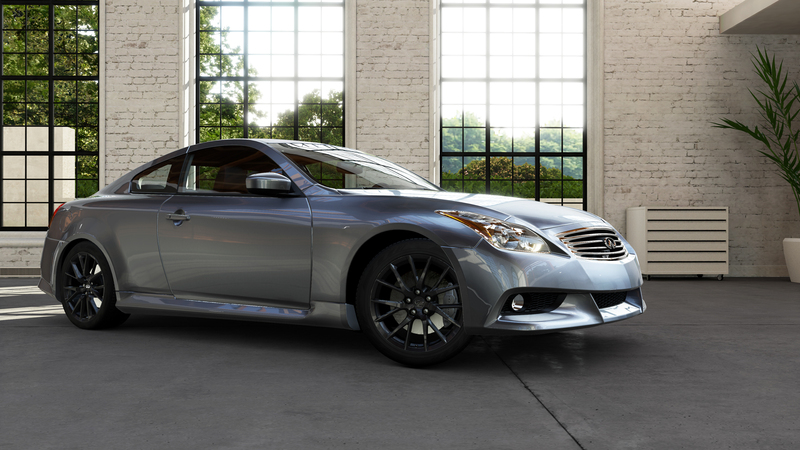 Japanese manufacturer Nissan Motor Company introduced its luxury Infiniti brand in 1989, focusing on a blend of style, comfort, and performance. The Infiniti flagship was the potent V8-powered Q45, which featured technology such as active suspension and four-wheel steering. Over the years, the Infiniti line has grown to include the slightly smaller M45 sedan, the sporty G37 coupe (on the same chassis as the Nissan Skyline), the G37 Sport Sedan, the EX35 personal luxury vehicle, the FX50 crossover, and the QX56 full-size luxury SUV. A two-door coupe from Infiniti and, yes, it’s rear-wheel drive. The folks at Infiniti know who their competition is and have delivered a luxury performance car worthy of their prestigious name. So whether you want a car to impress or want to hang on for an exciting ride the IPL G Coupe has the cards for a winning hand. 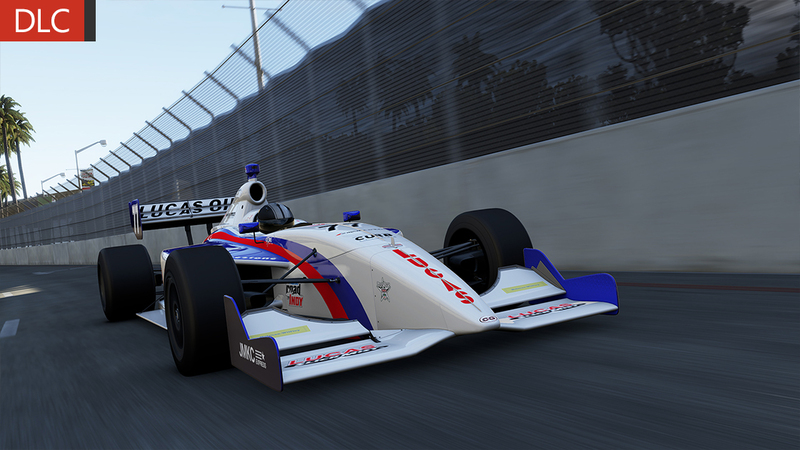 Yet another open-wheel thriller has come to Forza Motorsport 5 in the 2013 Indy Lights competitor from the winningest Indy Lights team since the series’ inception. Schmidt Peterson Motorsports has won every Indy Lights championship since 2010. The team’s drivers like Josef Newgarden, Tristan Vautier, and Jack Hawksworth have gone on to compete in the big league IndyCar series. The Indy Lights Dallara chassis is powered by a 420-horsepower Infiniti V8 engine, as are all of the Indy Lights in this spec racing category. The car weighs in at less than 1,500 pounds and is lightning quick, only a slight step down from an actual IndyCar. In 2013 American driver Sage Karam took the #77 to three first place finishes, six additional podiums, and won the Indy Lights title in his rookie year. When you consider the competition, the Q50S has some big rivers to cross when it comes to attracting buyers. Yet the Q50S matches up ideally with the field. People that buy a Q50S appreciate the driving experience for more reasons than merely getting from point A to point B. 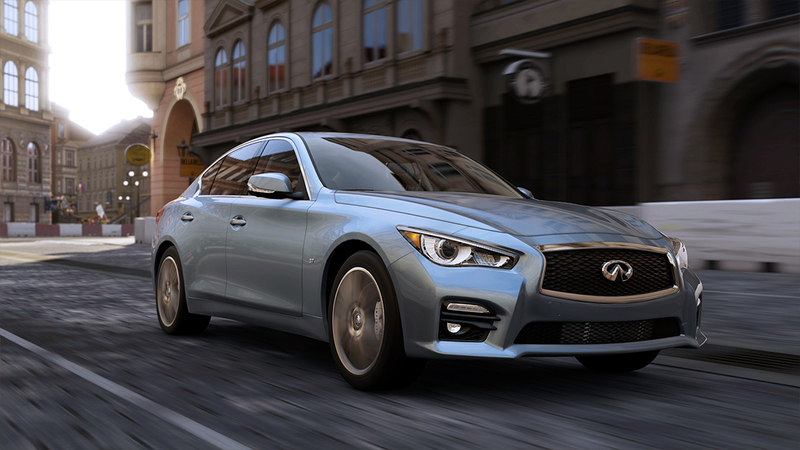 What separates the Q50S from its competitors is cutting-edge tech. For one, it has a completely fly-by-wire steering system. With that comes some serious protections against lane-departure and blind-spot monitoring. 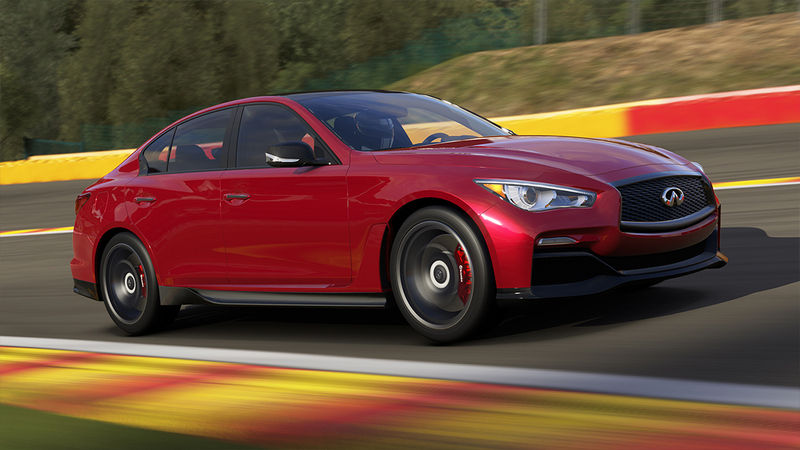 While these factors won’t come into play when you tear up the tracks of Forza Motorsport 5, a simpler feature will: Its rear-wheel-drive and serious horsepower make the Q50 a tail-happy, driftable work of art. Infiniti and Red Bull have found amazing success in their Formula One partnership. In an exercise to bring that success to their consumer cars, the Q50 Eau Rouge was created as a concept. Named after one of the most challenging corners in modern racing, the Eau Rouge concept vehicle represents the luxury Infiniti customers are used to, infused with the raw aggression of Red Bull Racing. The Q50 sports a functional, downforce-enhancing carbon fiber front splitter and rear bumper with integrated diffuser. All around are 10-millimeter wider fenders to accommodate a larger contact patch. Throughout the Eau Rouge you will find bespoke carbon fiber and aluminum bits that contribute to its looks and performance. Underneath the hood is the proof that this Q50 isn’t just a head turner. Powering this super-sedan is the 3.8-liter V6 from the Nissan GT-R, with two mammoth turbos helping it achieve massive horsepower numbers. All-wheel drive helps put that power to the ground. Those other high-end performance sedan-makers can consider this a warning shot because, should the Eau Rouge go into production, the competition will be running for cover.